The Best Summer Fruits and Vegetables! With summer right around the corner, I’m ready for barbecue season to get started. I thought I would share some of my most favorite summer vegetables and fruits. I love them all! If you can buy local and fresh they taste so much better! Look up local farmers markets in your area. Cherry season starts in June. 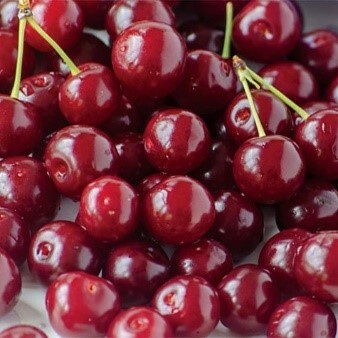 Cherries dark red color is a clue that they are high in antioxidants and phytonutrients. 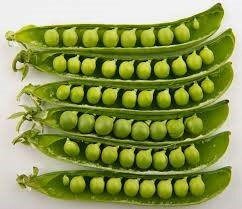 They are high in both fiber and Vitamin C.
Fresh peas simply cannot be compared to the frozen kind. They are sweet and delicious, and you can eat them either raw or cooked. Peas are absolutely packed with Vitamin C, and they are also a good source of Vitamins A, K, and B6. They offer plenty of fiber, and can be used as a good source of vegetarian iron. When using fresh peas instead of frozen in recipes, add them at the very last minute – they should really just be warmed, not cooked, to preserve their sweetness. Local spinach is available fresh all summer long. Spinach is a nutrition powerhouse (just ask Popeye). It’s got fiber, protein, calcium, iron, and other minerals, and is a great source of Vitamins A, C, E, K, and B6. 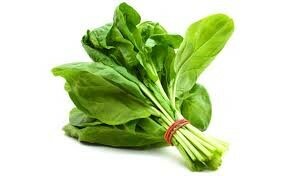 Fresh spinach is great raw in salads, of course, but it can also be used to great effect in hot dishes. Just be sure not to overcook! Local strawberries knock the socks off berries that have been trucked across the country. They are a great source of Vitamin C and fiber. 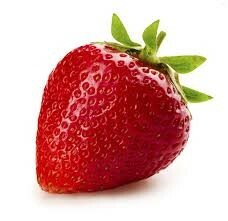 In fact, just eight strawberries give more Vitamin C than an orange! They are also rich in antioxidants. Fresh strawberries are super sweet and incredibly delicious in desserts or on top of ice cream. 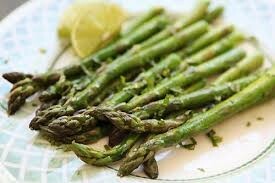 Asparagus is an excellent source of folate, a nutrient important in maintaining proper cardiovascular function. It’s a great source of Vitamins A, C, and K, as well as the B vitamins and potassium, plus it provides fiber. Asparagus is a great vegetable to cook on the grill, so it’s a perfect choice for summer cook-outs. 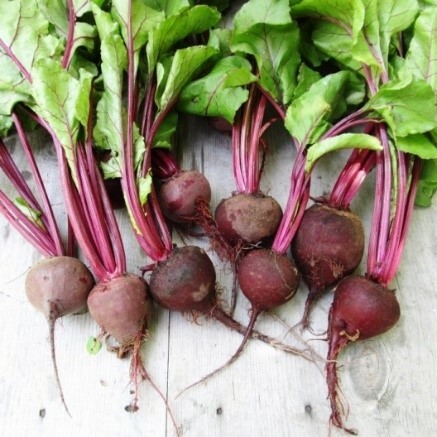 Beets are available starting in July, and you’ll find them right through October. They pack in plenty of fiber, Vitamin C, and magnesium and potassium. A big green salad with beets and walnuts offers a full, nutritious meal, and roasted beets ismake an excellent side dish. Blueberries are about as healthy food as you can get, and they’ll start to hit stores in July. In addition to fiber, Vitamin C, Vitamin K, and manganese, they’re loaded with antioxidants and phytonutrients. When they’re in season, it’s a great time to visit a u-pick farm and buy several boxes full of fresh berries. Eat blueberries as a snack, toss them in salads, and use them for beautiful desserts. Blueberries also freeze really well, so you can save some of that summer sweetness for the dark days of winter, too. Fresh corn on the cob is a late-summer treat that’s perfect for camping or barbecues. It’s a good source of fiber, Vitamin C, and manganese, and it provides some antioxidant phytonutrients. Close to 90% of the corn grown in the United States is genetically modified, so keep an eye out for certified organic or heirloom varieties. And remember, since the sugar in corn starts to turn to starch as soon as it’s picked, you should cook and eat your corn as soon as possible after you get it home. Green bean season lasts into early fall, so they’re a great option as some of the other summer produce starts to disappear. They’re a good source of Vitamins C, A, and K, as well as manganese and fiber. 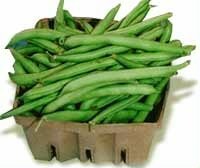 Serve fresh green beans raw in salads or on a veggie plate, or steam them lightly for a deliciously sweet and crunchy side dish. Is there anything better than a fresh, local Zucchini? 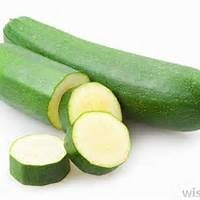 Zucchini is one of the very low-calorie vegetables and is only 17 calories per 100 g. It has no saturated fats or cholesterol. Its peel is an excellent source of dietary fiber that helps reduce constipation and offers some protection against colon cancers. It is an excellent source of potassium, an important intra-cellular electrolyte. Potassium is a heart friendly electrolyte and helps bring the reduction in blood pressure and heart rates by countering pressure effects of sodium.